It’s been said that the simple things are quite often the best. 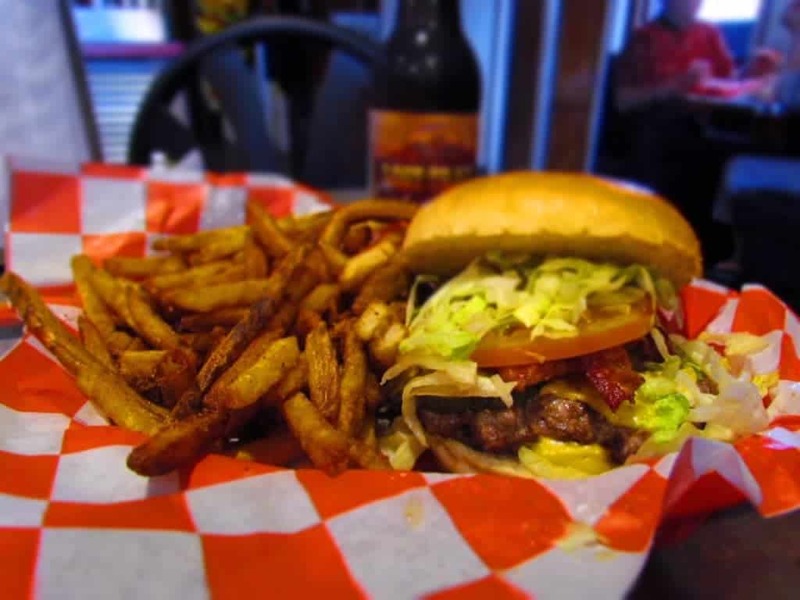 Such is the case at Tay’s Burger Shack, located at 1019 Armour Road in North Kansas City, Missouri. You won’t find page after page of menu items. Here they focus on a few things, and make sure they do them right. 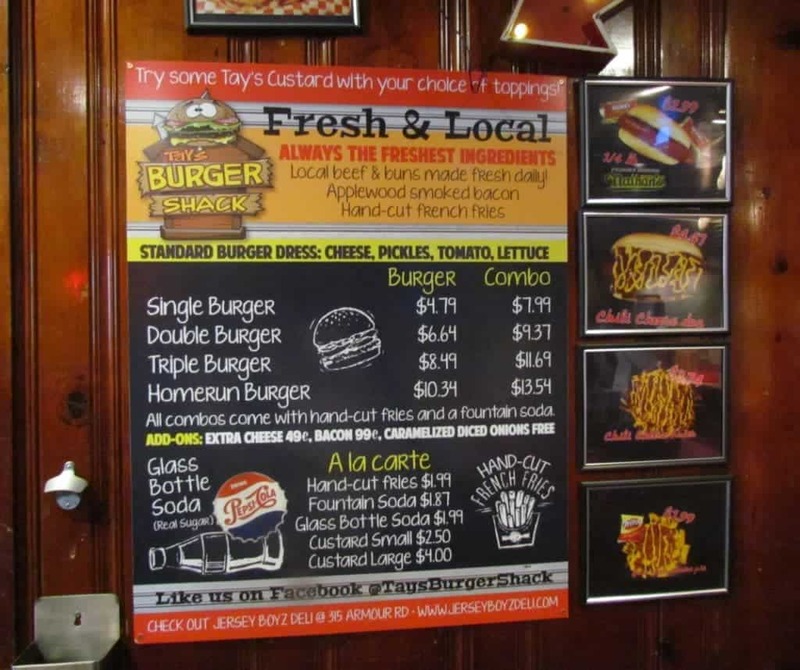 The main focus at Tay’s Burger Shack is burgers. 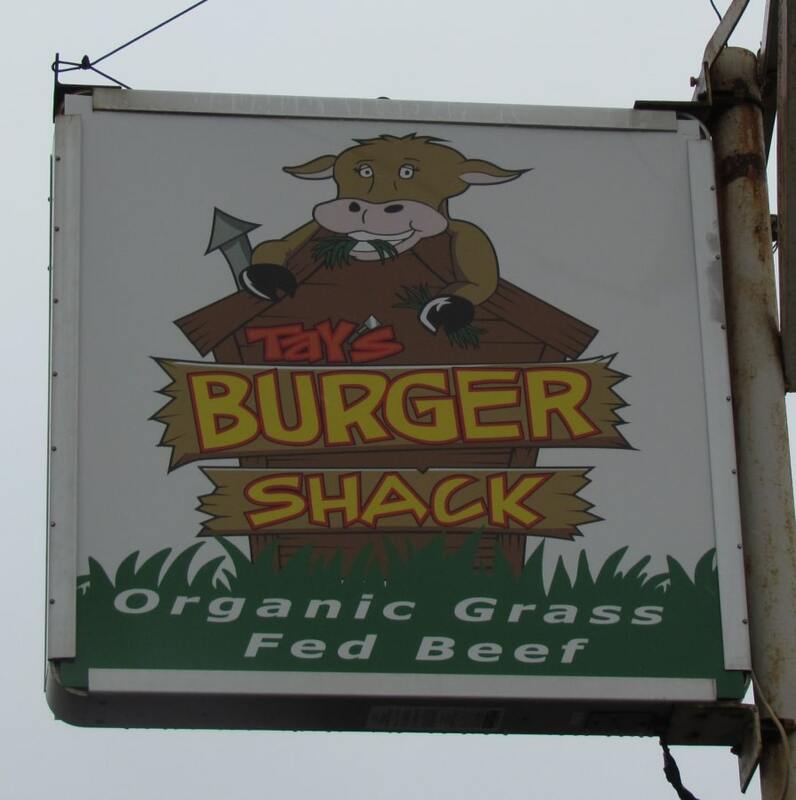 The beef they use is grass fed, and the patties are about a quarter pound each, before cooking. The beef is sourced locally, as are as many ingredients as possible. Cooked meat patties are sandwiched inside buns that are baked fresh daily. This commitment to freshness comes through in the flavor of their product. Customers choose between single, double triple or the four patty “Homerun”. Of course, don’t feel like you are limited just to burgers. Tay’s also serves up Nathan’s hot dogs, with or without chili. By the way, the chili is made with the same great Missouri-raised beef. If you are looking for a snack, try the Frito Pie. Much like what is found at a high school football game, theirs uses their great chili poured into a bag of Fritos. Stepping through the door at Tay’s, you enter into a smallish venue. Wood paneling and galvanized corrugate lines the walls. Seating is limited to about four tables and four booths, which is enough for roughly 30 people. At times, the non-stop flow of customers challenge this capacity. Those that have eaten here before are willing to overlook this shortcoming. The food makes this little inconvenience a non-issue. When you enter the restaurant you are immediately welcomed by one of the staff. The workers at Tay’s Burger Shack are friendly to a fault. 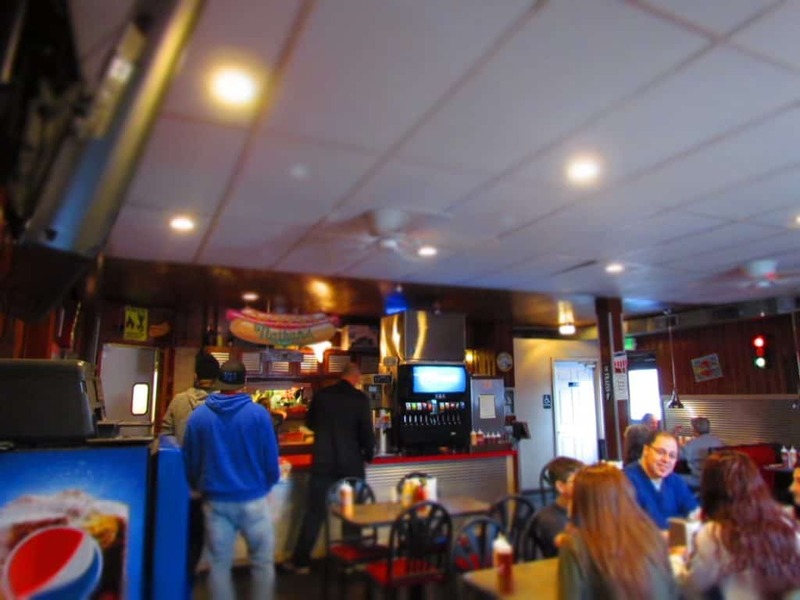 Quite often they walk through the dining area inquiring if customer’s expectations are being met. How often does this happen at the burger joints you frequent? Once your order is placed, you grab your drink and head for your seat. They will bring your meals to you, but until then you have to take in the sounds, sights, and smells of others enjoying their food. We both chose to experience the double combo meals with fries. These are served with American cheese, pickles, tomato, and lettuce. Crystal decided to add the caramelized onions to hers, and why not when they are free. I tacked on bacon, which adds another buck to my meal’s price. Soon enough our food was delivered, and we prepared for the tasting. We had noticed the standard condiments are available at each table. What isn’t normal were the other two squirt bottles, one of sriracha mayo and sriracha ketchup. Be warned that these pack some heat! The burgers were juicy, without being greasy. Pretty sure this comes from the choice of beef. The patties are cooked to perfection, and offer just a little char along the edges for crispness. The fresh buns compliment the crispy toppings, and the blending of flavors makes each bite delicious. The hand-cut French fries have a nice bit of kick all on their own. We did see some of the other diners dipping their fries in some of the sriracha sauces. For us, they were good just they way they present them. Thin strips of slightly firm potato quickly become an addictive addition to the burger. For two of us, the bill came to about $20.00, which is in line with most non-fast food burger joints. Neither of us were able to finish all of the food we were served, and we walked away form Tay’s Burger Shack well fed and happy.